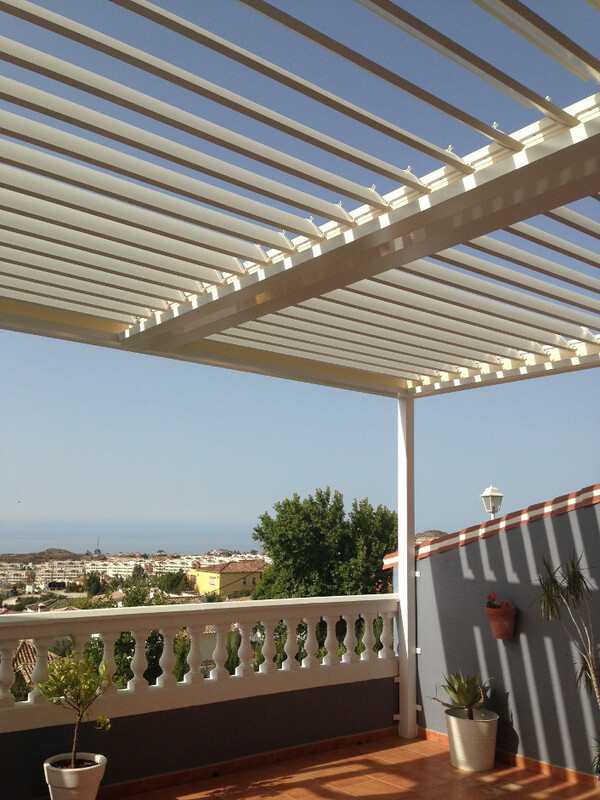 If you are you looking for intelligent pergolas, then look no further! 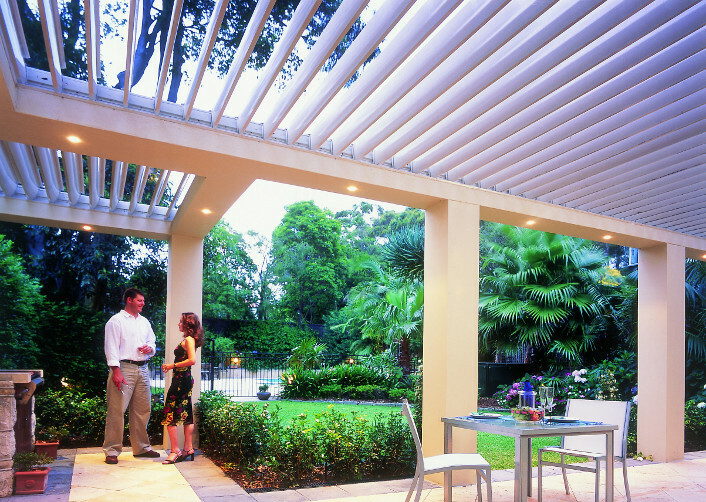 Vergola provides a roofing enclosure system that uses adjustable louvres for every weather condition and for every season. 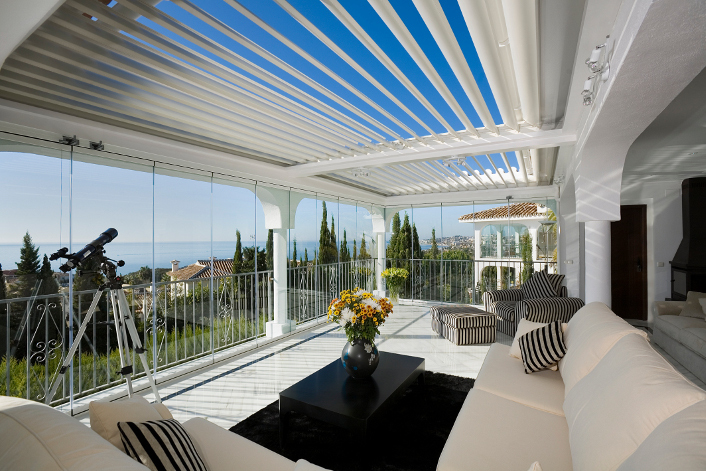 It is an innovative, exclusive system of opening and closing roofs by the use of geared louvres - taylormade to fit any customer's specific needs. 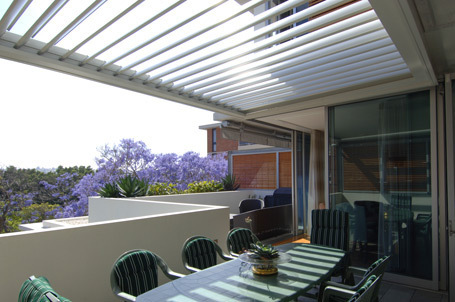 Vergola lets through a maximum of natural light or total or partial darkness, by simply adjusting the tilt of the louvres. 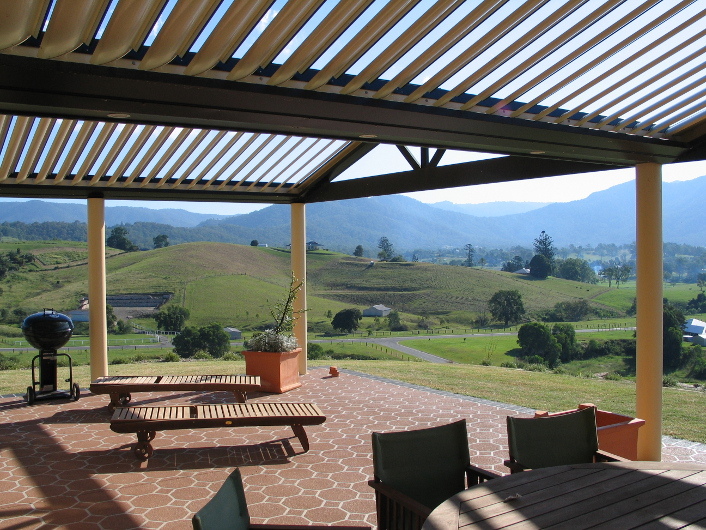 The louvres have been designed to interlock, thus transforming the Vergola into a water resistant roof against weather, including rain sensors that will automatically close the louvres with only a few rain drops.